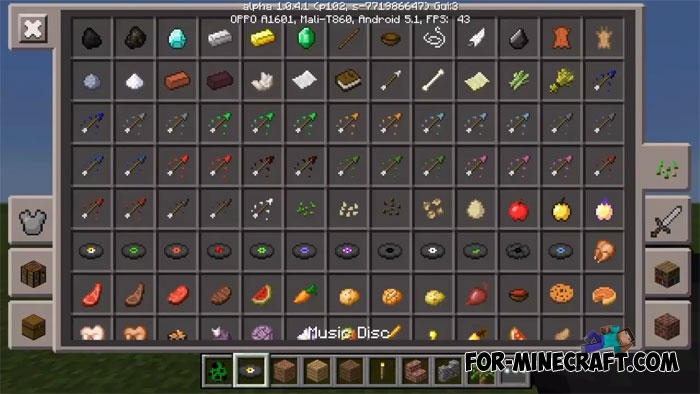 Discs Addon adds 12 music records from Minecraft PC. All the records were taken from the original game and do not have any change except that now you can listen to pleasant music directly in MCPE. Imagine how you build a house listening to the sounds of jazz or retro melodies. 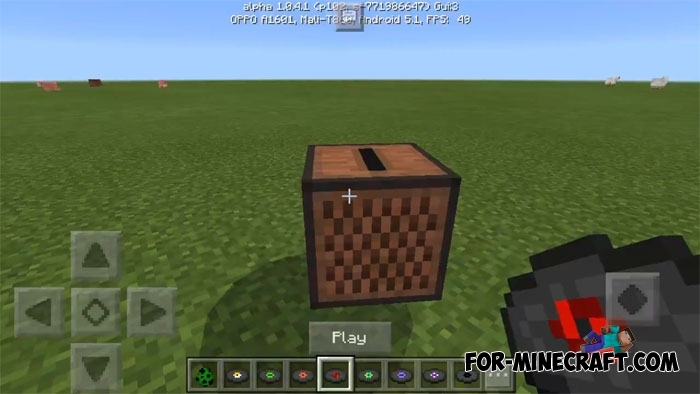 By the way, also recommend you to download Realistic Sounds mod for Minecraft PE which replaces the usual sounds with realistic. How to get the music discs? StarkTMA has replaced some food with the records and now you can simply open the creative inventory, or cook replaced food. The only problem is that the creeper is now a music player (take its spawn egg). As soon as you insert the disc in the jukebox, the music will play automatically and will continue until the end. Other features of the player are the same as the PC version of Minecraft. If you move away from it, then the music volume will be reduced. List of all the songs can be listened.